As a customer of HardSoft, you have access to all of our experience and knowledge. If you are interested in running a particular class but are uncertain which app to use or want to use an app but are not confident to use it, we can help. Contact your education coordinator at any time to discuss or arrange a time for them to come in and support your learning. With such an array and choice of Apps on the market it can be daunting when trying to decide which is the best for you and the classroom. Working closely with schools gives us the unique opportunity to really get to know which apps work well in the classroom. Choosing your apps carefully ensures the technology in your classroom enhances and encourages learning. Voted the best educational App in the 2015 BETT awards. 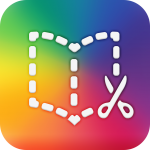 Book creator is a simple way to make your own ebooks. Suitable from age 4, this app is great for all ages and all abilities. The books that you make can be exported to the iBooks store along with published authors. They can also be conveniently shared with peers and family. Pictures, photos, video and narration can be added effortlessly to really personalise your book. This App can be utilised for any subject cross curriculum. This interactive whiteboard app is simple to use and effectively allows students and teachers to construct presentations. Creating content on Explain Everything could not be easier with its many import features and the ability to annotate, narrate, animate and record. You do not require an account to use Explain Everything and you can share easily with the many export options. 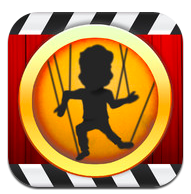 This app lets you create animated cartoons and interactive puppet shows. Many characters and backgrounds are available to enable use across subjects, year groups and lessons. Students can use this app to create instructional videos, tell stories, present, brainstorm and help foreign language students. Engaging with content, this App helps students to learn without them even realizing it. Scratch Jr is a programming App for children aged 5-7yrs. As children as young as 5 now need to do at least an hour of programming a week this App is ideal. Enabling children to create their own interactive stories and games it can be efficiently incorporated in to a creative curriculum. With numerous backdrops, characters and scenarios available ScratchJr is relevant for use in various lessons a multitude of times. The creation of a book or game is extremely enjoyable and the finished product very satisfying. Making collages in class has never been so cool or simple. Photos, pictures and YouTube videos can be added to your picture board. There are numerous stickers and fonts available to add text and decoration to your collage. Brilliant for displaying pictures you have taken with your iPad, making leaflets and displaying work. This new version of Pic collage has removed the public gallery and removed export options to social media, making this app safer to use in the classroom. Teachers use Showbie to assign, collect and mark students work. As it is cloud based, homework can be submitted electronically. Files can be shared quickly and easily promoting a paperless classroom. Assessed work can be annotated to give feedback. Assignments are listed and dated to help the organisation of students. Marking is less cumbersome as teachers no longer need to collect all workbooks. Marked work is returned instantly rather than at the next lesson. Make your own stop motion animation anywhere with this App. Students are able to create a video adding themes, titles and audio recordings. The movies can be edited easily and shared using YouTube, DropBox, iCloud or Facebook. Using Airplay, movies can be streamed instantly to your smart TV. Suitable from age 4, this App is great for all ages. We can send you all of the information and solutions you need or come in to class and run an iPad lesson with you. If this is something that interests you and you think your school can benefit from our knowledge and training then please contact our educational coordinator at schools@hardsoft.co.uk or complete a registration form online to receive more information.